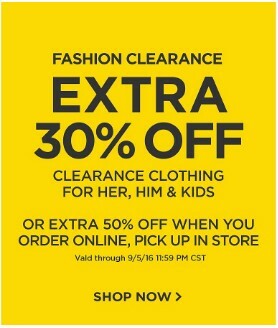 Sears Online Deal: Extra 50% off Clearance Clothing, FREE Shipping Eligible! Hurry over to Sears.com where you can currently save an extra 50% off clearance clothing for the entire family! 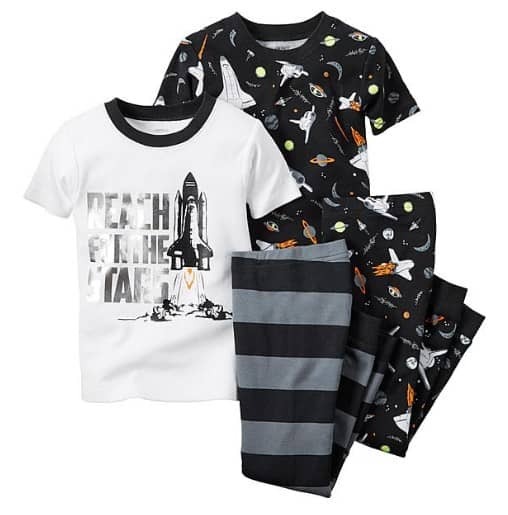 This 4-Piece Carters Pajama set is only $8.50 after extra 50% off (reg $34)! Extra 50% off is only available if you order online and pickup in store. Or you can save an extra 30% off and have the items shipped. Hurry over to Sears.com and see what you can find today as selection is likely to get picked over quickly.